The Pomeranian is thought to be descended from the German Spitz. The forerunners of this little dog actually came from large working dogs from the Arctic regions. In fact, even though most Poms are very tiny, sometimes a large Pom will crop up due to their original ancestors. The name Pomeranian is associated with the area known as Pomerania which is located in northern Poland and Germany along the Baltic Sea. Although this is not the original land of the breed, the area is credited with the breeding that led to the original Pomeranian. The earliest color of Pomeranians was usually white with an occasional black or brown; however, when Queen Victoria acquired a little red Pom in 1888, red Poms became all the rage. Pomeranians may be tiny, but they have plenty of big-dog attitude. They are a very friendly and lively breed of dog. They love to be with their owners and are protective of them; however, they can suffer from separation anxiety if not trained to spend time alone. Poms are very intelligent and trainable. This loving and incredibly amusing dog is just a precious little package! 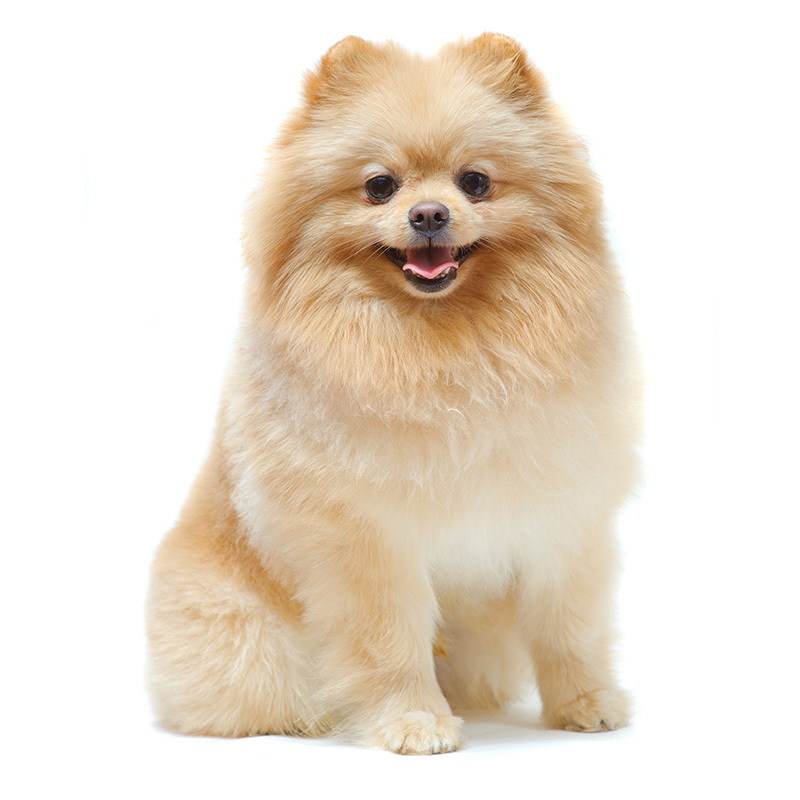 Pomeranians usually weigh between 3 to 7 pounds and stand approximately 7 to 12 inches tall. They have a fine-boned body. Their coat is extremely fluffy and has a double coat with the most common colors being orange, black or cream/white. While grooming is not difficult, it is recommended to groom them daily because of the thickness and the constant shedding. They will “blow their coat” twice a year. Pomeranians are the 8th most popular dog registered with America's Pet Registry Inc. A group of two Poms are commonly referred to as a “puff,” while a large group is known as a “tuft.” Of the nine dogs on board the Titanic, the two that were rescued were a Pomeranian and a Pekingese.